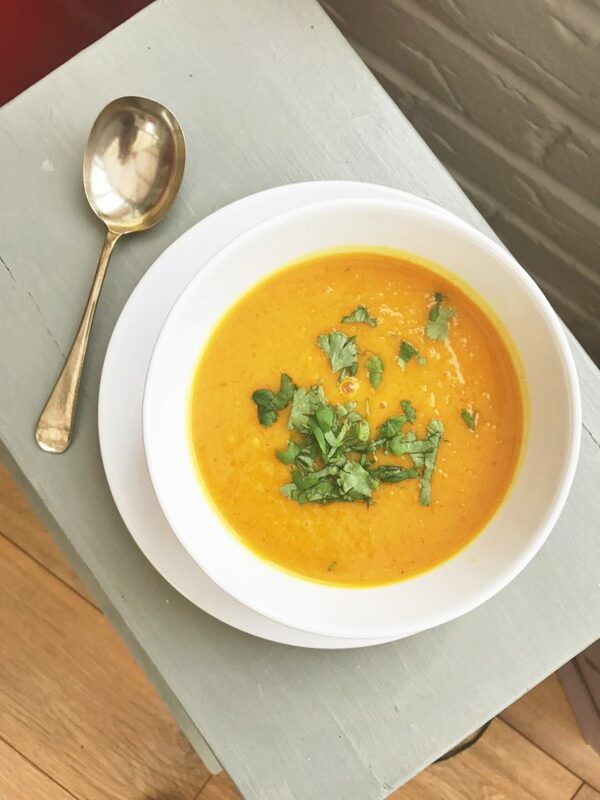 Curried sweet potato soup is delicious, bursting with flavour and super easy to make. Ideal for a simple quick lunch or tea time. The sweetness of the potatoes go really well with curry spices and turmeric to make a very appetising soup. Add a splash of oil to a saucepan and gently fry the garlic, ginger, celery and onions for 5 minutes. Throw in the diced sweet potatoes, add the turmeric and curry powder and season with a pinch of salt. Pour in the vegetable stock and bring to the boil. Reduce the heat to a low simmer, put the lid on and cook for 20 minutes. Once cooked blend until smooth. Go Thai with the curry spices and stir through red Thai curry paste in place of the curry powder. Use carrots instead of sweet potato. Use up any leftover root vegetables. 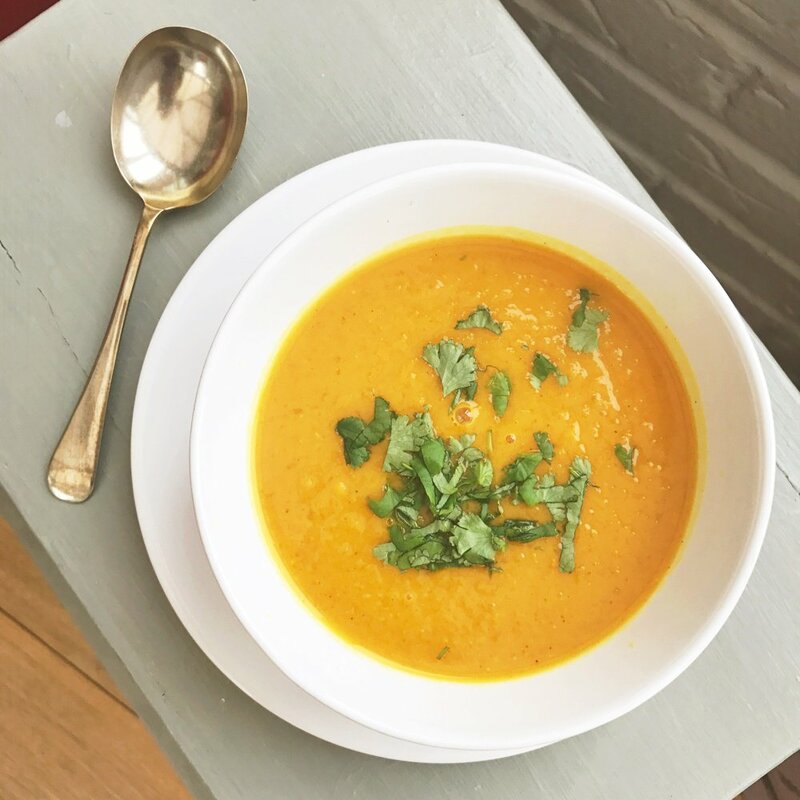 Spoon the soup into bowls and serve with warmed naan bread or crisp poppadums for dipping in. Take in a flask for packed lunches.